If you’ve ever had a professional manicure, you know just how relaxing and luxurious they feel. Many people are tempted to take on the task of this nail care treatment on their own, but there are several reasons why going to a spa or nail salon might be more beneficial. In today’s blog, we’ll review the benefits of professional manicures to help you be better informed. 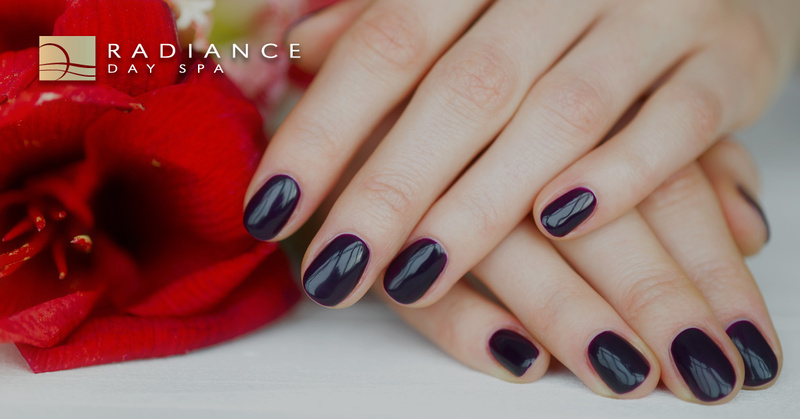 At Radiance Day Spa in Sioux Falls, we offer spa-quality nail care retreats that will leave your hands feeling smooth and your nails well cared for. To learn more about our services or to schedule an appointment, call us at 605-385-0065 today! If you’re considering giving yourself a manicure, check out the four benefits below to treating yourself to a spa-quality manicure. When you opt to receive an amateur manicure, you may be disappointed in the quality of the end result. Things like misshapen nails, goopy polish, and possibly even bleeding cuticles can result from untrained individuals performing manicures. When you go to a spa or professional nail salon, you can rest assured that the technician performing your service is well-trained and capable of delivering a quality manicure. Are you someone that likes to pair your manicure with other spa services, such as a gentle hand and wrist massage or a paraffin dip? Many spas that offer manicures also offer complimentary add-on services such as these in addition to the basic service that you’re paying for. When you get your nails done at a spa, you can also pair your manicure with a facial or a massage for the ultimate pampering experience. Many women have a stash of nail care products somewhere in your home. This collection may include everything from files and clippers to polish and nail dryers. Many people prefer having the same old colors on their nails, but if you’re someone who likes variety, you’ll love the wide selection of colors and accessories that a professional salon offers. You’ll be able to choose from a wide variety of shellacs, and you can even add jewels or accents for a customized look. While it may be tempting to give yourself a manicure or have a friend perform the task, there can be several health and safety risks involved. Unless you have the proper processes and equipment to sanitize your nail care tools, you could be placing yourself at risk for infection. Even the smallest deviation from proper procedure could result in a fungal or staph infection that can be extremely painful. Routine manicures are essential for your nails, both for aesthetics and appearances. When you choose one of our nail care retreats, you’ll have a wide variety of services to choose from, including our signature Radiant Spa Manicure which includes exfoliation, massage, moisturizing, and polish. Contact Radiance Day Spa today to schedule your appointment!